Anne comes to the Bar after many years in private practice as a Solicitor, including 8 years as a Litigation Partner in litigation firm, Levy & McRae Solicitors, Glasgow. As a solicitor Anne had a broad ranging practice, which covered a wide range of civil and commercial work. Her main areas of practice however were Employment Law, commercial contract disputes and reparation actions, including professional negligence and personal injury. 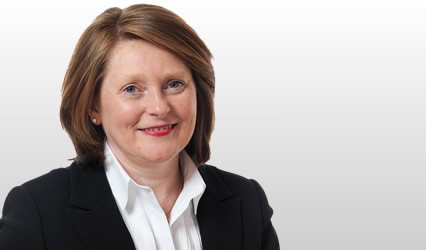 As an Employment solicitor, Anne advised employer and employee clients on the whole array of employment law issues. Anne has a special interest in discrimination issues. Anne has represented clients in most sheriff courts in Scotland and has been the instructing solicitor in many Court of Session litigations. She has appeared in Employment Tribunals in Scotland and England and before the EAT. Anne has also represented family and other interested parties at many Fatal Accident Inquiries. Since 2010, Anne has been a Senior Tutor at the University of Glasgow in civil litigation.